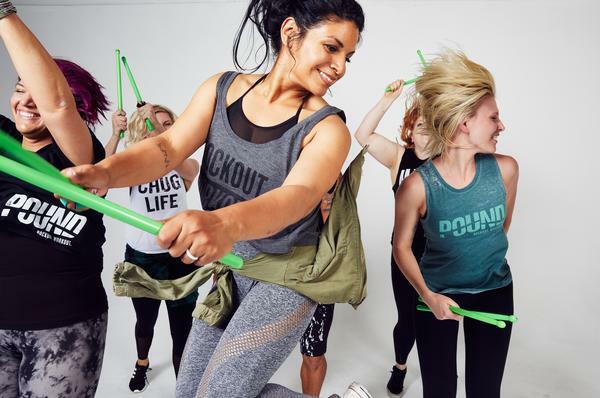 When and how did you come up with the concept for POUND fit? In 2011, I was running a music venue, and looking for a way to get fit, when I had a couple of big lightbulb moments. Working for the venue, I was able to observe the way hundreds of people experienced music as they watched live shows, and witness first hand its incredible power. Around the same time, I’d picked up drumming and came to appreciate the therapeutic benefits it brought to my life. I knew if I could combine these elements with movement, it could be an incredibly effective way of working out. With my then business partner, we set out to create a group exercise experience that felt more as though you were playing a rock concert than working out. It was equally important to us that it was an inclusive environment that was loving and empowering. We built the workout around three pillars: the mind, the body and what we call your inner rockstar. From day one, I had a really clear vision of what the community and brand would look like, and although we’ve evolved, we have never wavered from our original ethos. What elements make up the workout? It’s a full-body workout that incorporates intervals, cardio, conditioning and strength. 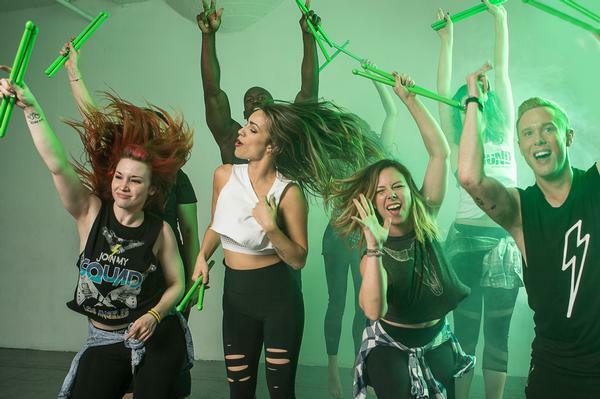 Classes range from 15 to 45 minutes, using our proprietary weighted drumsticks called Ripstix, and include a series of tracks spanning a variety of music genres and positions, including lunges, squats, seated kicks and bridges. A typical class offers about 30 interval peaks and 50 techniques. Ripstix are used to pump the arms, strike together or strike the mat, and transform you into a rockstar! Students lose themselves in the music and become part of the beat. In the modern world, it’s easy to hide behind technology and it’s getting harder and harder to connect with people. Group fitness has become one of the best ways to congregate as human beings and connect in a unique way. Definitely! We recently launched Generation POUND, our first youth programme designed for kids aged six to 12, which aims to build self-awareness and self-love for the mind, body and soul. It’s important for young people to be aware of their bodies, strengthen their minds and connect with themselves on a higher level. Young kids, more than ever, need inclusive, loving, empowering environments where they can become the best versions of themselves. My ultimate goal is for kids to go home with a huge smile and a light in their eyes and tell their parents about this crazy, fun experience they had! What have been the main challenges in growing the concept? It’s a good problem to have, but scaling effectively to meet international demand has been a challenge. It’s important to us not to launch in a new market until we’re comfortable with a place or a partner and know we can provide the best experience. It hasn’t slowed us too much though: we now have more than 19,000 instructors – POUND Pros – globally. Was there a breakthrough point? 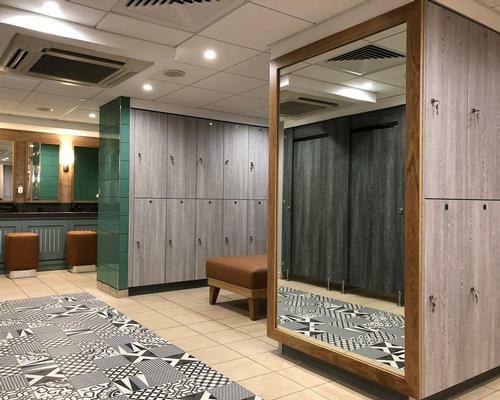 Early on, we were able to secure a great partnership with US gym chain Crunch Fitness. They were known for their programming and have some of the best instructors in the world. In 2011, they launched the programme in four major markets with a healthy press push, essentially putting POUND on the map. It was the boost we needed and we are still in more than 70 of their locations. It showed us the value of great gym partners and we continue to seek out the best and most aligned fitness brands around the world. How can interested instructors undertake training? Training events take place all over the world and we often work with instructors to host training at their facilities or at qualified venues in their particular city. Once they graduate from the one-day, eight-hour training programme, instructors are well supported by the online instructor training network, The Label. On The Label, they’ll unlock access to more than 200 tracks of choreography, with instructional videos to help them learn. They also receive brand new choreography every month, marketing materials to help them grow their classes, video blogs and customer support. On top of that, they benefit from industry discounts from dozens of partners through our Pro Perks programme. Did you always want to start your own business? Yes, I have always had an entrepreneurial spirit and launched my first business when I was only seven years old! I’ve worked in many industries – including fashion, music, entertainment and food – but have always felt a drive to create. Even at POUND, we are constantly evolving and continue to introduce new campaigns and extensions of our brand, which help to feed that need.